This comprehensive journal is an indispensable companion for frequent travelers. Tuesday in London, and the city is your oyster. Tomorrow, it's on to Amsterdam and the Van Gogh museum. Combining the best of a travel planner, a calendar, a diary, and a globetrotter's resource, this handbook is an indispensable travel companion. Ideal for the person who always seems to be jetting off on their next adventure, this sturdy volume allows them to plan multiple trips, track their savings and wish lists, and record every experience from their journeys. The agenda's vegan leather hard cover, acid-free paper, and sewn binding helps it hold up to rigorous global roaming. Once filled, you have a personalized keepsake of travel to revisit for years to come. Designed by Michelle Lee; made in Singapore. With a background in architecture, Michelle Lee was eager to make her mark in the field. But when she discovered her passion for travel, she decided to run with it. Her moment of revelation came when she couldn’t find a journal to fit her traveling needs. Michelle loves converting ideas into reality through a combination of her love of travel and her knowledge of design. 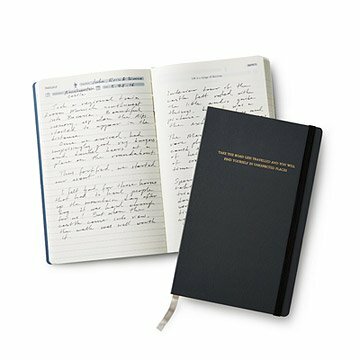 With extensive research and feedback from travelers, she designed a journal all travelers would love to pack for their next trip. Both clients appreciated it very much and enjoyed the fact they could actually write about their journey in a beautiful journal to keep. In the digital age, still nice to have. The size is perfect, but a bit pricey for the quality. What a wonderful and precise item! Bought this as a gift for a Friend and for myself. I'm able to bring it around to pre plan my Travelling and even my memories on my travels.